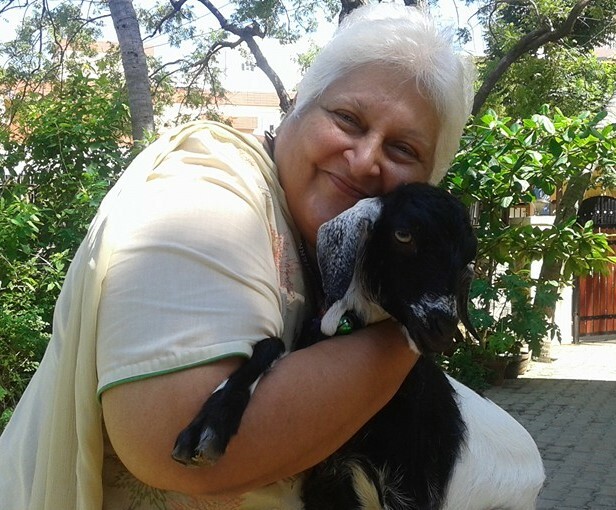 This Sunday I feature Neerja Malik, 60, who conquered cancer twice over using the only ‘weapon’ she has – ‘Happiness’!!! When you finish meeting Neerja Malik, you feel like you have just stepped off a trampoline – you are left feeling so buoyant in spirit, so bouncy in your tracks and feeling so high, well, from laughing! You feel you have met a Bhangra dancer, a Sumo wrestler, a stand-up comic and a six-year-old – all rolled into one, all at once – that’s so much energy her mere presence injects in you; it has to be experienced to be believed! 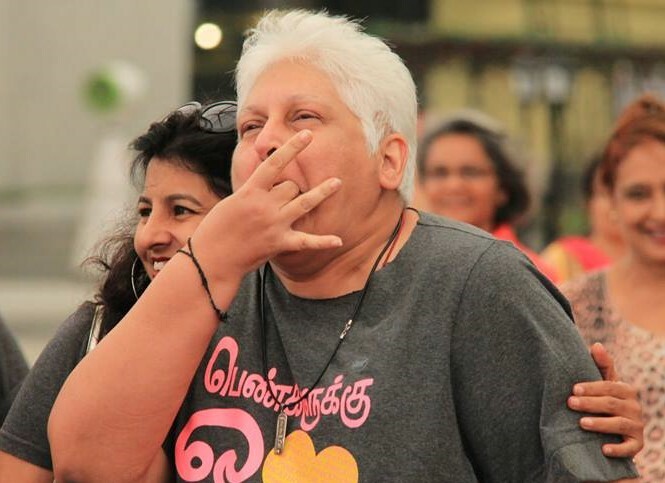 We met Neerja for the first time at the InKo Centre in Chennai in August last year when she attended an event – Heart of Matter-Happiness Conversations – that Vaani and I had curated. 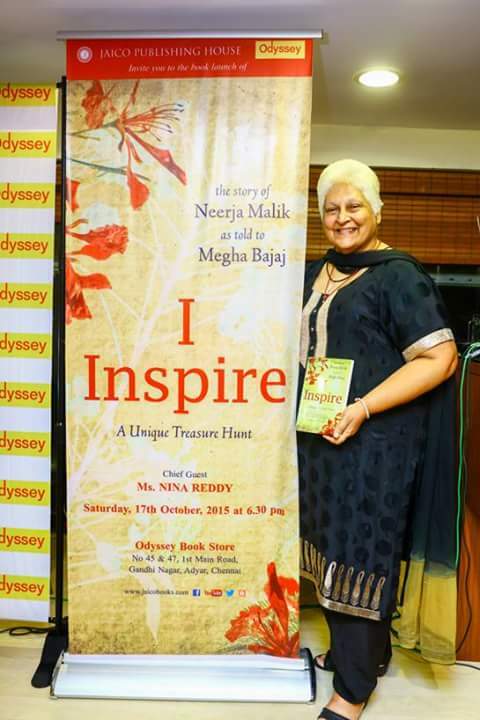 Later, we were also at the launch of her book ‘I Inspire’ (co-written with Megha Bajaj, Jaico 2015) at the Odyssey bookstore. Both times, Neerja personified an uncommon joie de vivre. Here was someone who had seen so many storms in her Life: broken bones, multiple miscarriages, a still-born baby after yet another prolonged conception process and two episodes of breast cancer within six years of each other! Anyone else may have well crumbled. But Neerja is, we reckoned, and most people who know her will agree, different! She’s not different because she is a fighter and she’s not different either because has had the strength, the resilience, to endure her storms. She’s different because she’s happy facing her Life, no matter what comes her way! Cancer, Neerja says, has to be faced, not feared. And facing cancer has to be treated as ‘work’. 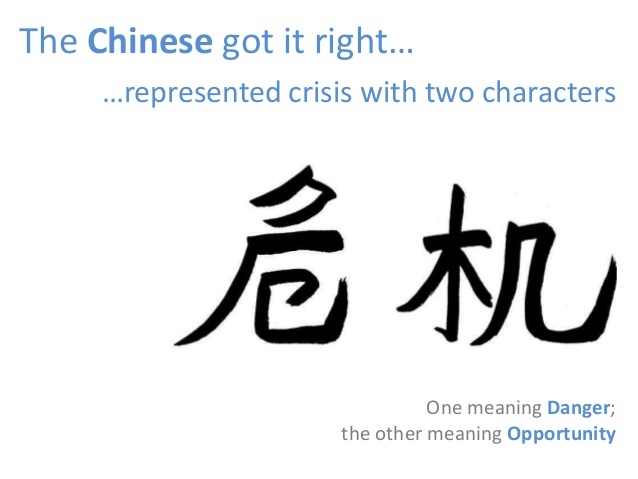 “See, as long as you are alive, you will have problems of one kind or the other. If you keep fearing your problems, you will never be able to live fully. So whatever you are faced with – just go to work on it. In my case it was cancer. It was something that had to be treated. And the process of treatment had to be undergone – even if it meant dealing with pain, chemo, hair-loss and uncertainty!” she explains. It’s been 17 years since Neerja started counseling people to face cancer. And she feels she is doing ‘God’s work’: “Everything is so beautifully arranged in my Life,” she says, adding, “I can’t but connect the dots backward. Each experience that I have been through has culminated in me being who I am today. 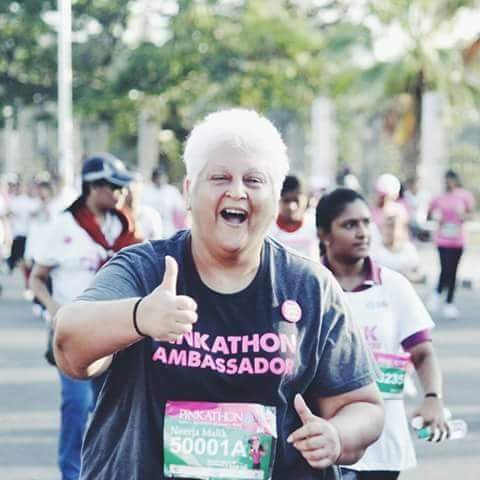 My greatest joy is in being able to touch another Life and to inspire people to never give up.” Neerja tells us the story of a young lady, diagnosed with cancer, who came to her for counselling. The lady had just got married and one of the fallouts of her ailment, she feared, was that she would never be able to conceive. Neerja taught the lady the art of staying strong and, over time, the lady was cured through medical intervention and she moved on. Recently the lady called Neerja to say that she had just delivered her third child. “To me, that moment was ‘happiness’ – the fact that I had been useful to someone! I just looked up at the sky and thanked God,” says Neerja.